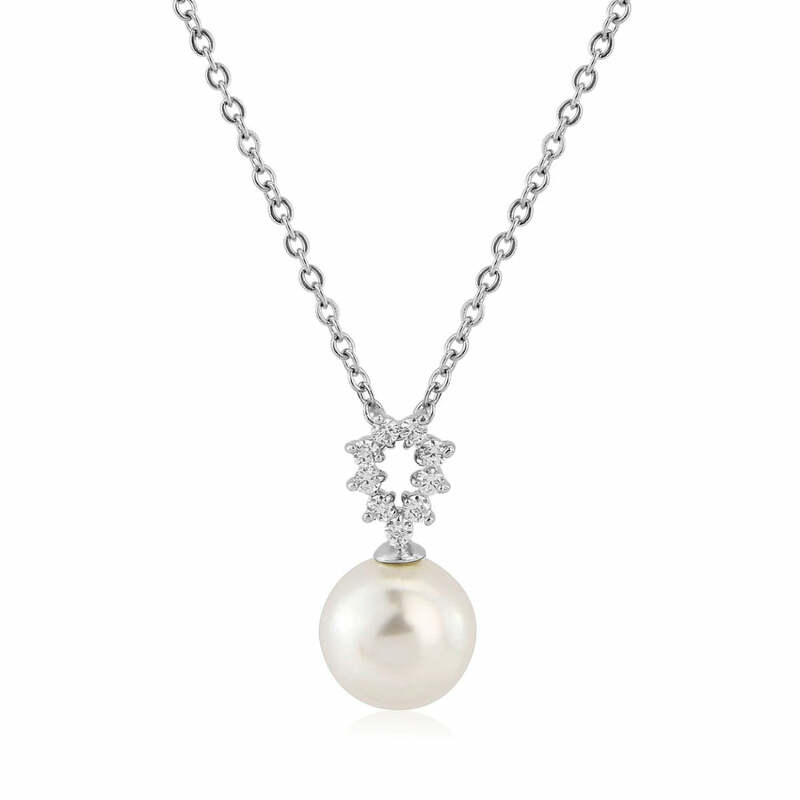 Shimmering with classic beauty, Timeless Pearl is an heirloom worthy crystal and pearl pendant and drop earring set. 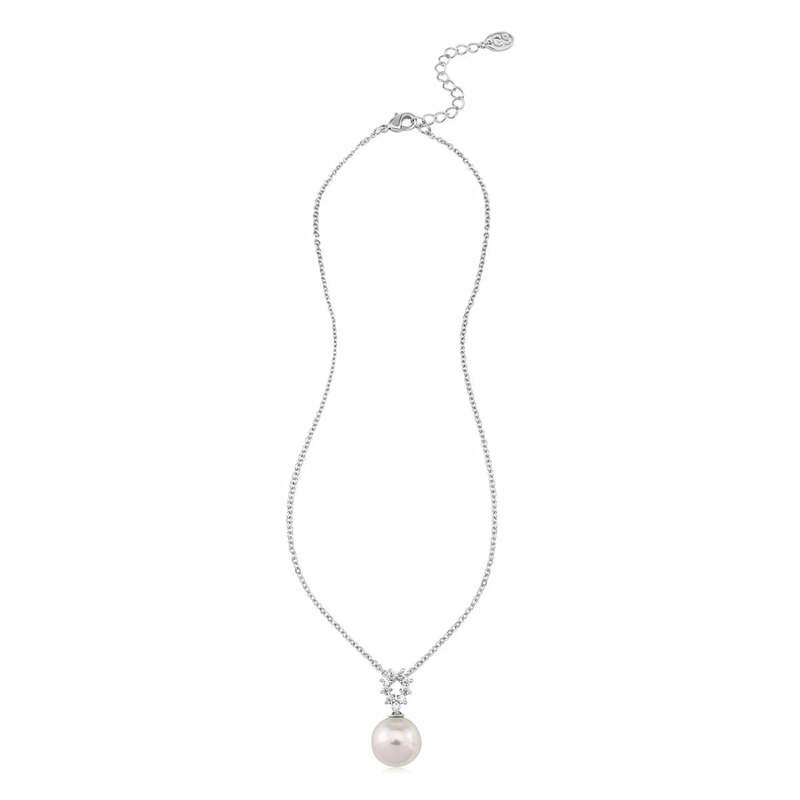 Utterly chic and charming, our Timeless Pearl Jewellery Set beautifully captures the elegance of vintage jewels. 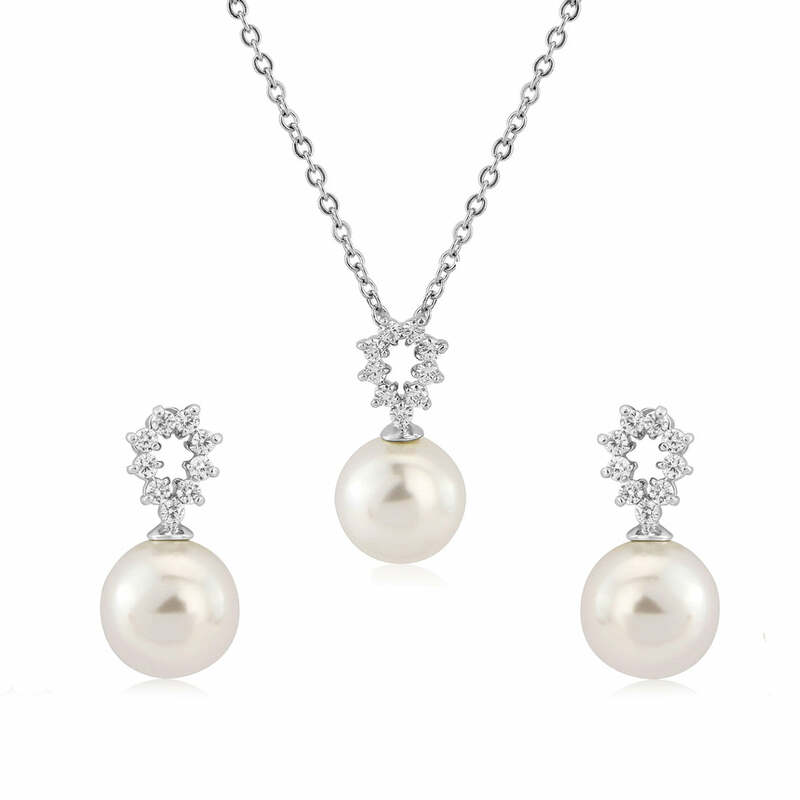 Easily mistaken for a find in a little back street antique shop, this gorgeous set features coordinated drop earrings and dainty pendant with light ivory pearls suspended from a sparkling cubic zironia encrusted pear shaped drop. 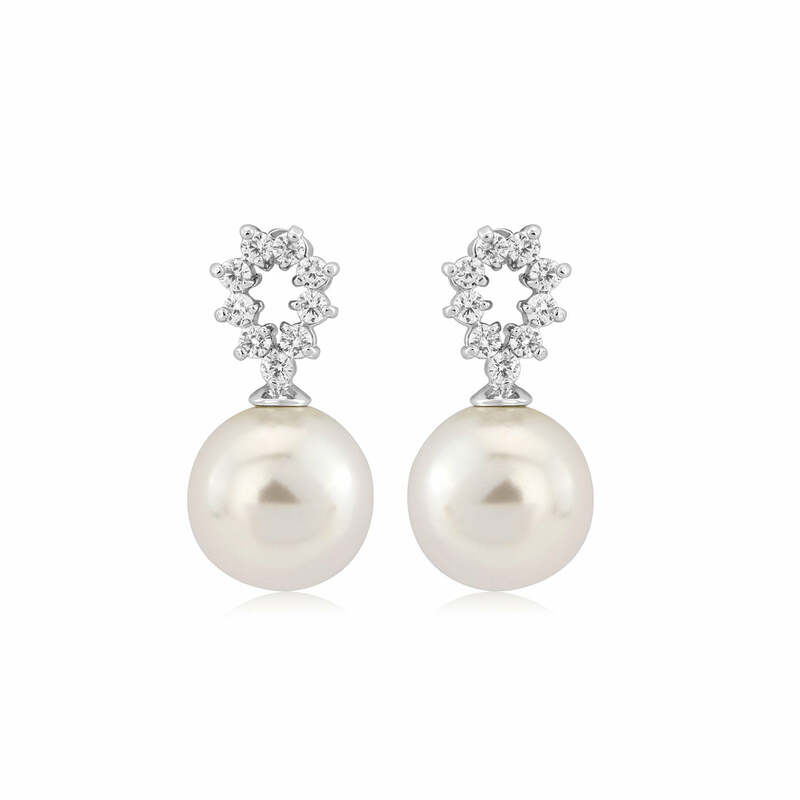 A delicate set for those special occasions which require grace and a touch of class, Timeless Pearl will shimmer at an elegant dinner dance or add vintage charm to a little black dress for a lunch with friends. A sensational wedding jewellery set which brides will adore for its 1950s sophistication. A fabulous gift for your bridal party from Mother of the Bride to your beautiful 'maids, our glistening gems will be called upon time and time again for every special occasion which calls for yester year glamour.